Chain-free five bedroom semi-detached house with a large garden, off-street parking, a garage and the potential to extend. 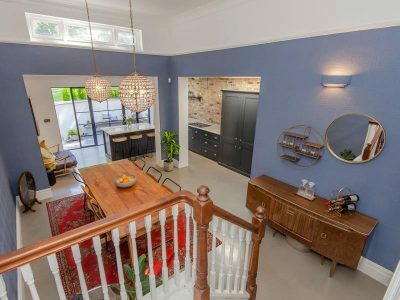 This chain-free five-bedroom 1920s semi-detached home is understandably much-loved and greatly benefits from a large garden, which backs onto a protected grass covered reservoir, as well as off-street parking and a garage. Enviably located on a prestigious tree-lined residential road between Cherry Tree and Highgate wood, it is also close to the High Road and East Finchley tube station. The same owners have lived here for nearly fifty years and this house offers a lovely setting for a new family to extend both on the ground floor and into the loft, greatly enhancing an already charming and generous property.